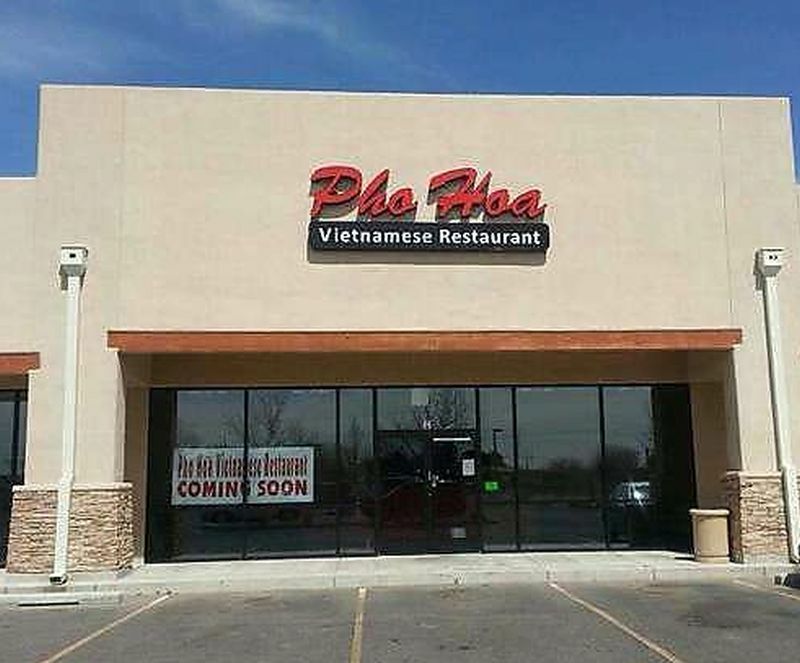 As of this writing, there are 37 Vietnamese restaurants in ABQ. When I go to any of them, I invariably order phở tái nam with the tái served on a separate plate. May Cafe is the only place where I have strayed from this habit, and has become my favorite. The Singapore Noodles is better than that I have found in any other place. 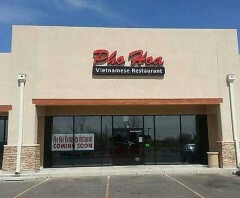 Phở Hòa is owned by Benny Bao and his brother Tommy. Benny is a charming host with a wicked sense of humor. My lunch guest, the pulchritudinous Deanell, was kept in stitches bb bantering back and forth. And Benny really knows his stuff. restaurants (yeah, I know — I’min a rut). I asked for the tái to be served on a separate plate lest the hot broth overcook the delicate slices of rare beef. Benny winked at me and said (You’ve done this before.” Uh, yeah, Benny. I asked for salty lemonade which, unfortunately, is not available. 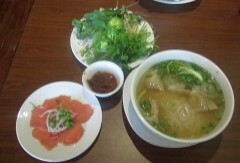 This bowl of phở is easily among the very best that I have had anyplace. Delightful aroma and exquisitely spiced, the taste elicits an OMG. Superb. Deanell hah never had Phở, and opted for Phở ga, with large chunks of tender chicken white meat. 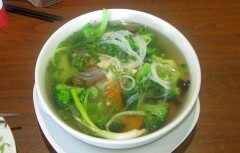 The spicing and aroma are somewhat different from the beef soups, but amazingly good. Phở ga was Dr. Jane’s favorite version of this soup. Deanell (who had her own OMG moment) agreed that dish is among the very best brothy soups she has ever tasted. She begged me to take her here again. OK. I rarely eat desserts in Vietnamese restaurants because they are usually cloyingly sweet, and I don’t need all that sugar. 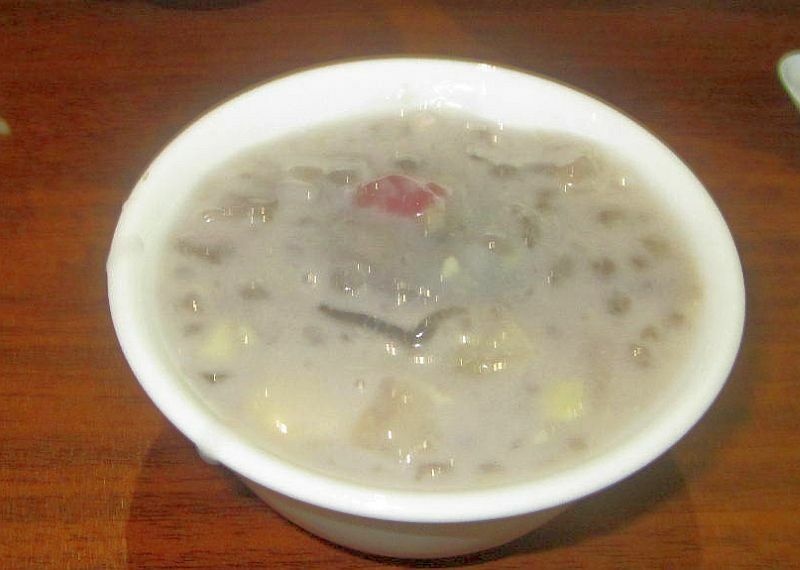 Benny was trying out a new dessert, a slightly sweet pudding with bananas and poraro. He gave every patron a small bowl to try. He didn’t know what it is called, but assured me that he would think up a name shortly because he was soon to have a new menu printed up. I suspect that he was teasing me. Nevertheless, it was delicious. Not too sweet, but just right. I would order it again even if I had to pay for it. Phở Hòa is so pleasant and good that I will probably break with my tradition and order something other than Phở. Or maybe not. This entry was posted in Closed, Vietnamese. Bookmark the permalink. Awesome!! 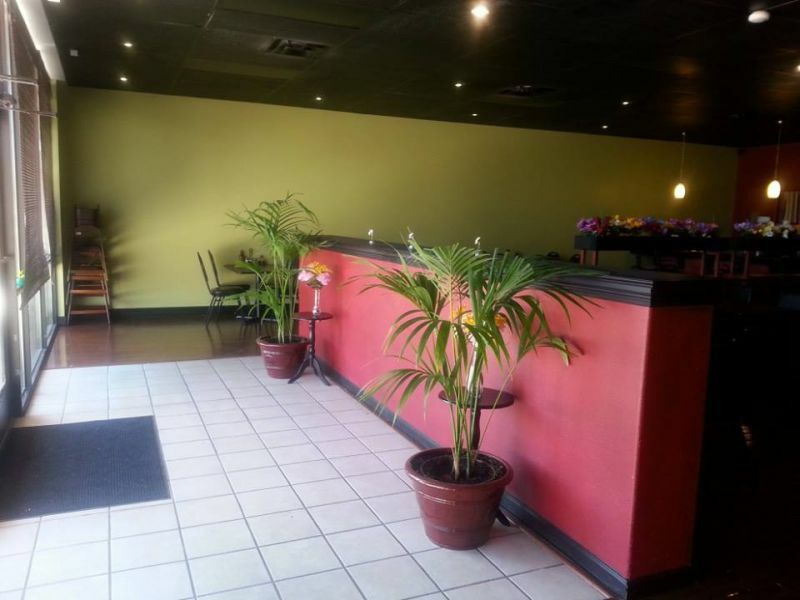 Thank you for your kind words and reviewing our restaurant. I’m glade you guys liked it.